Why would I need self storage in Sumter, SC? There are a variety of reasons why you might need self-storage in Sumter, SC. How much is a storage unit in Sumter, SC? The cheapest storage unit in Sumter, SC is $20.00 per month. What size storage units do you have available in Sumter, SC? In Sumter, SC we have sizes that range from 5'x5' to 15'x20' to suit your storage needs. How much is it for a 5'x5' storage unit in Sumter, SC? The cheapest 5'x5' storage unit in Sumter, SC is $20.00 per month. Sumter is a small city in South Carolina that's full of old-world charm, combining a rich and storied history with a modern economy and amenities. Located in the center of state and serving as a county seat, Sumter is also the state's eighth most populous city. 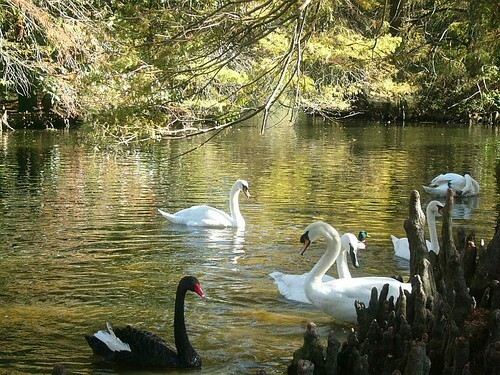 With a series of events like the Iris Festival, and with attractions like Swan Lake (the only park in the United States that hosts all eight species of swans), Sumter is a unique and interesting place to call home. In the 17th century, a number of English settlers moved through what was then called the Carolina Backcountry. As they carved new settlements out of the area around the Wateree River, the Sumter District regulated the region, forming on Jan. 1, 1800. The city incorporated in 1845 as Sumterville, named after Revolutionary War General Thomas Sumter. The name was changed to Sumter in 1855, and it has been a regional leader ever since. Like many towns in the Carolinas, Sumter is a major presence in the textile and agricultural trades, exporting its products and materials around the world. Shaw Air Force Base is also a major local employer, providing jobs for servicepeople and civilians alike. Several manufacturing interests, including medical and biotech businesses, have large facilities in the area, which has also contributed significantly to the city's job market. Sumter's central location has made it an attractive place for many businesses, especially because it facilitates conducting regional business. The town is also home to a flourishing retail community and an active health care industry. With a large variety of industries and businesses supporting the local economy, Sumter has a strong job market that will make it relatively easy to find something that fits your background and experience. Sumter School District oversees the public elementary, middle and high schools in Sumter. There are also a number of private institutions in the area, like St. Anne Catholic School and Thomas Sumter Academy. Several of the region's schools have achieved national recognition for excellence in education, with many students earning scholarships and acceptance to prestigious universities. Housing prices in South Carolina are very reasonable compared to many other places in the United States, and Sumter is no exception. There are many different housing styles in Sumter, ranging from compact apartments and town homes to sprawling estates on large, tree-shaded lots. You can also find new construction homes in Sumter, which are typically part of planned communities. Our lowest priced units in Sumter, SC average $65.00 per month. 125 people have reserved units in Sumter, SC in the past 30 days. There are 3 locations within Sumter, SC's city limits. There are 2 locations in Sumter, SC that offer AC and Heating features.